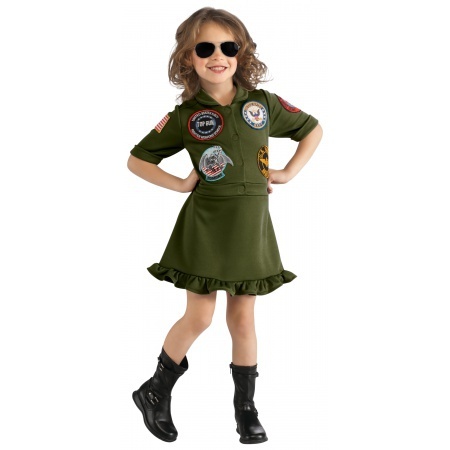 Girls Top Gun costume dress includes a button front dress with Top Gun patches and aviator glasses. Our girls Top Gun costume dress comes in child sizes Medium, Large, Small. This girls Top Gun costume dress is an officially licensed Top Gun costume. The black tights are not included with this girls Top Gun costume dress. 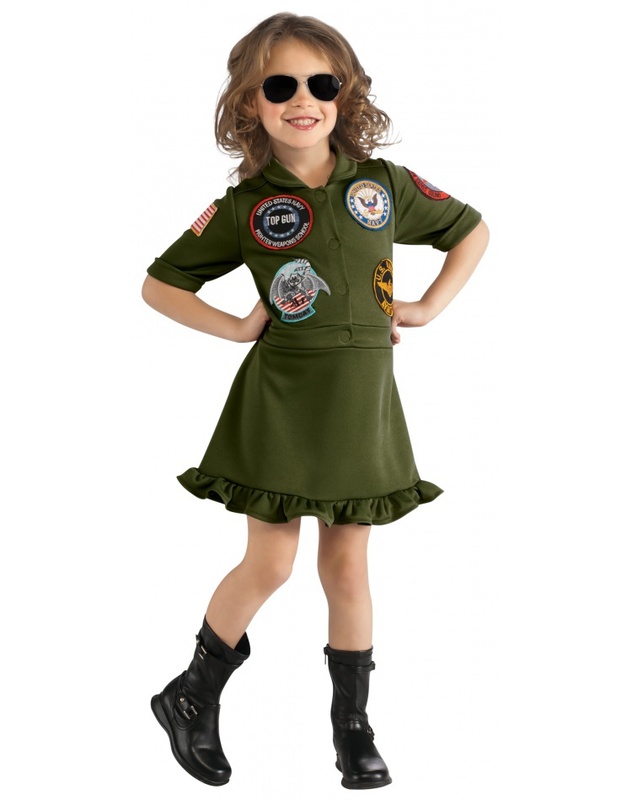 Your little maverick will be flying high in this girls Top Gun costume dress complete with aviator style sunglasses.